At the end of March a waxing crescent moon sets in the west well after dark. 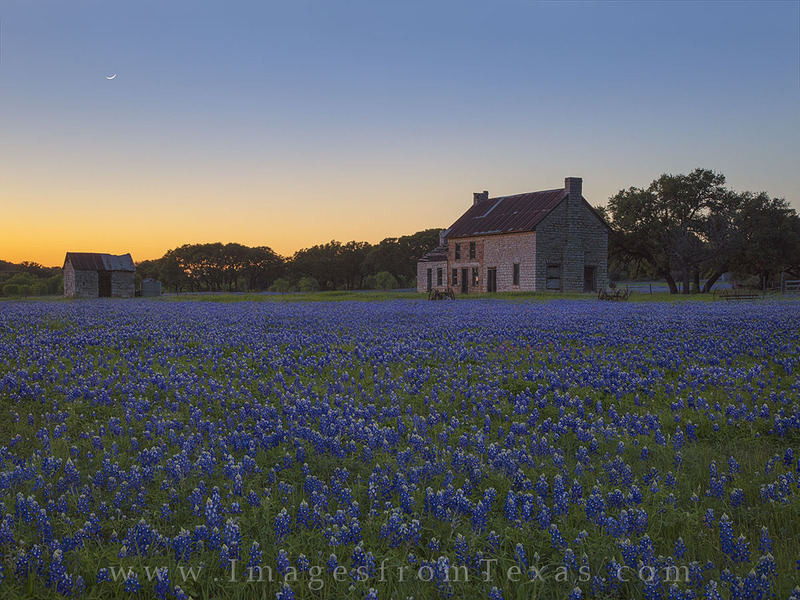 This bluebonnet field was found in Marble Falls near the well-known old stone building. A long exposure was required here to illuminate the foreground and building, then I took a shorter exposure of the moon and blended it back in so it wouldn’t appear overexposed. Hill Country landscapes like this are reasons I love being a photographer! Photo © copyright by Rob Greebon.